The nonprofit’s bylaws or articles of incorporation usually set out a specific procedure for dissolution. In most cases, the directors must meet and take a vote on the decision to dissolve. If the nonprofit also has members who are not directors, the directors should contact the members and invite them to vote on the issue. The members may either convene a separate meeting to discuss the matter or may confirm their agreement in writing. If the members cannot agree, the bylaws or articles usually allow dissolution by a majority vote. The nonprofit must file certain documentation with the state authorities in which it is incorporated to confirm the dissolution. For example, the state of Delaware requires nonprofit corporations to file a formal certificate of dissolution with the secretary of state in accordance with Section 275 of the Delaware General Corporations Act. Most nonprofit organizations have Section 501(c)(3)tax-exempt status with the IRS. When the organization decides to dissolve, it must notify the IRS and submit a final tax return by the 15th day of the fifth month after the date of termination. If the nonprofit is also registered for state tax purposes, it must notify the relevant state authorities of the effective date of dissolution. 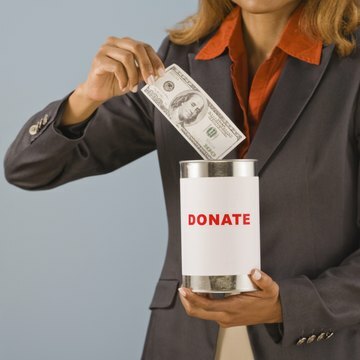 Nonprofit organizations often hold assets in trust for their specific aims and purposes. In most cases, if any assets remain after the decision to dissolve, the directors and members will agree to distribute them in accordance with the nonprofit’s stated purposes. If this is not possible – for example, if the nonprofit’s purposes have been fulfilled – the organization must decide how to distribute any remaining assets. In some states, the directors must seek permission from state authorities before doing this. For example, in California, the nonprofit corporation should contact the attorney general’s office for permission before distributing assets on dissolution.